La Habra Heights is a city in Los Angeles County, California, United States. The population was 5,325 at the 2010 census, down from 5,712 at the 2000 census. La Habra Heights is a rural canyon community located on the border of Orange and Los Angeles counties. The zoning is 1-acre (4,000 m²) lots with a variety of home and ranch style properties. La Habra Heights features open space, no sidewalks, no street lights and encouragement of animal husbandry. La Habra Heights has no commercial activity (stores, gas stations) with the exception of a small real estate office, plant nursery, private golf course and numerous home-based businesses. The community has one park “The Park” located on Hacienda Road, which is the center of community events. 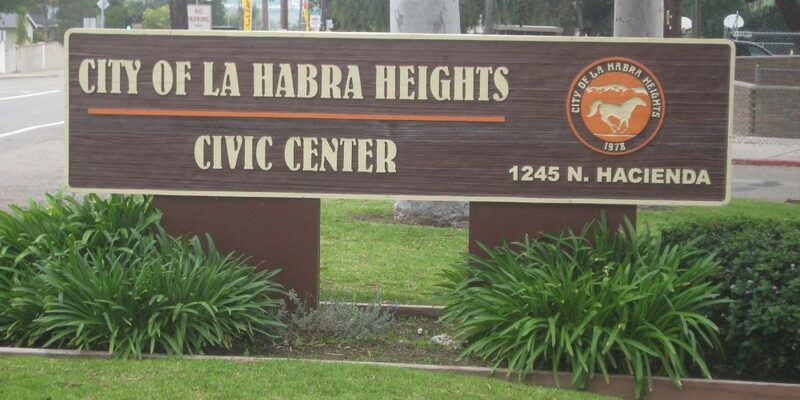 Community organizations such as The La Habra Heights Improvement Association create family events for the community. The Parks & Recreation Commission also create family events for the community as well as oversee the park.